Есть вопрос для Kantary Hills Hotel? Kantary Hills Hotel это отличный выбор как для туристических, так и для бизнес поездок, во время посещения Чиангмай. Всего 5. Km, отделяет этот 4.5-звездочный отель от аэропорта. Благодаря тому, что отель находится в непосредственной близости от таких достопримечательностей, как Чианг Май Бикинг, Мон Ном Сод, Артист Бьюти Дэй Спа, гости отеля будут в восторге от его удобного расположения. Предлагая гостям превосходный сервис и широкий спектр услуг, Kantary Hills Hotel стремится к тому, чтобы сделать ваше пребывание в отеле максимально комфортным. Отель предлагает доступ к широкому спектру услуг, в том числе Wi-Fi на территории, парковка, обслуживание номеров, трансфер, ресторан. Насладитесь высоким качеством услуг, доступных в номере, в том числе шкаф, бесплатный чай, полотенца, деревянный пол/паркет, бесплатный кофе, благодаря которым, вы сможете полностью расслабиться и зарядиться энергией после долгого дня. Помимо широкого выбора услуг для отдыха, предлагаемых в отеле, у вас останется много возможностей развлечься не выходя из отеля. Идеальное расположение и превосходное качество услуг в Kantary Hills Hotel делает этот отель подходящим для большинства категорий туристов. За детей в возрасте от 2 до 11 лет (года), при размещении на имеющихся кроватях, взимается плата в размере 175 THB - за ребенка за ночь (завтрак включен). Great service and affordable prices. Christmas eve was nearly as being back home in Europe. Extraordinary good dinner including the service. Rooms are spacious and hotel has a nice pool. Enjoyed nearby massage places, restaurants, and shops. Hotel are close to airport which make it a bit noisy when planes arrives or depart. Pros: * spacious rooms * good facilities * rooms have washing machine * friendly and professional stuff * good car parking * location is not perfect , but it's good. A lot of nice shops and food places around. Cons: * breakfast is average. * aircrafts fly nearby - so noise + also our kid was scared when he heard it for the first time. Sum-up: I would come there again, it's a good place to stay for families. Great place to stay. Lovely, friendly, helpful staff. Great room with extra big comfortable bed. Good location, easy walk down to a main street and not too far from Old City. Would definitely stay again. We were at the restaurant for breakfast at 9.30. Most of the food in the buffet line are empty. Only simple ones like bread, omelette and sausages that we could have. Waiting for another 15 minutes but noting was added up. Asking for an in charge person but no one can answer who he/she is. Nice Hotel. Very average breakfast, catering almost exclusively for Asian guests. We really felt for the money we didn't get much value, the rooms are quite nice but to be honest a boutique style Hotel is probably more Chiang Mai. We stay here for 3 nights. 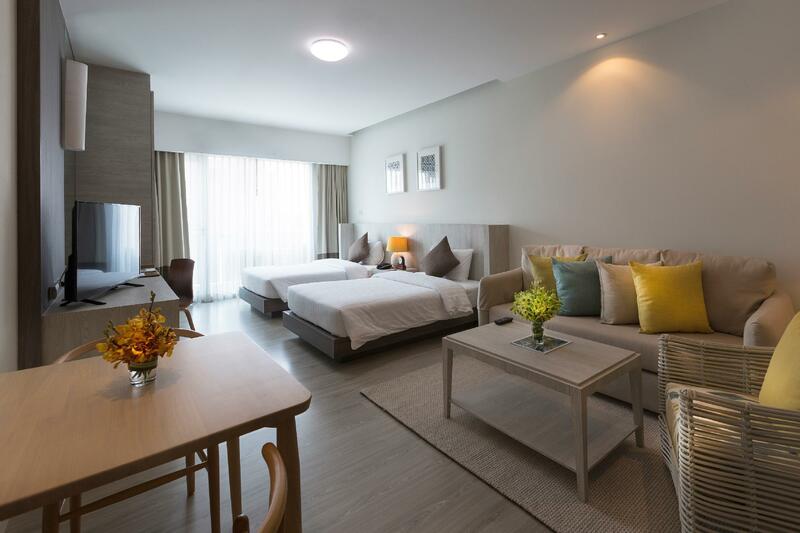 The location is good, just a few minutes walking distance to Nimman Road. The room is very big, clean and tidy and with washing machine. The staff is polite and helpful. The only area need to improve is the TV channel, both the quality and varieties are very poor. Thank you for your very kind review of your visit to Kantary Hills Hotel, Chiang Mai and for your constructive observation on the televsion channels provided - we will forward your comment. Yours sincerely, The Management of Kantary Hills, Chiang Mai. Cape and Kantary Hotels supports SOS Children’s Villages and the TSPCA. We do not serve foie gras, birds’ nest or shark’s fin and we stand firmly against the exploitation of Thai elephants for commerce or entertainment. We are a family of three and stayed four nights. Enjoyed the facilities like gym, swimming pool, whirlpool and jacuzzi. 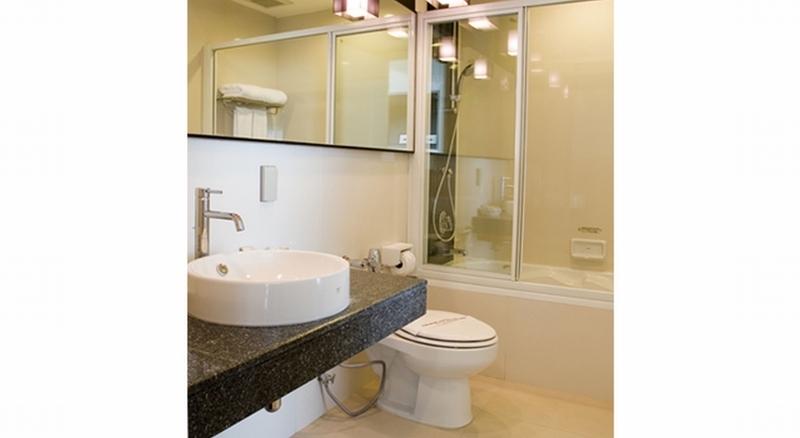 All amenities are clean and well maintained. The steam room in ladies locker room was clean and nice. I booked a suite and utensils were clean. The location is merely 200 metres from main Nimman Road. Food outlets everywhere and nail, hair and massage amenities all around! Cant ask for any better location! Thank you for your very pleasing review of your recent stay at Kantary Hills Hotel, Chiang Mai. We are very pleased to read that you took advantage of the facilities that we offer and I will pass on your thanks to our Housekeeping staff. We hope that you enjoyed your visit this wonderful old city and we hope that we may see you all return in the future. Yours sincerely, The Management of Kantary Hills, Chiang Mai. Cape and Kantary Hotels supports SOS Children’s Villages and the TSPCA. We do not serve foie gras, birds’ nest or shark’s fin and we stand firmly against the exploitation of Thai elephants for commerce or entertainment. Good for those who would require a kitchen or microwave. Overall, it was a good stay for us. 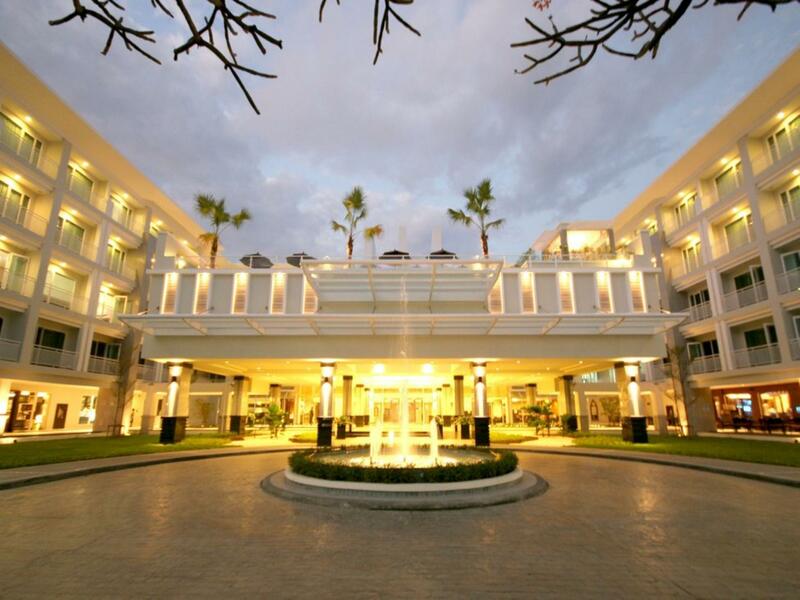 The hotel is best answer where to stay in Chiangmai. Good location, good service, good food and what we like most is the room size and space! We will come back and definitely we will recommend to our family and friends. However, please check coffee in the room. We found it’s expired (since 08/2018). Very nice hotel, but a bit pricey and the bed was kinda hard for the money you pay. Most of the things are good and excellent. There is a big swimming pool, jaguzzi, and fitness as well as sauna. Breakfast is quite ok. I like the lobby area. Nice neighborhood, near everything. But the room has too much stuff and most of them not necessary. It's too dark in the room. they definitely should change the lighting. Breakfast was just ok. 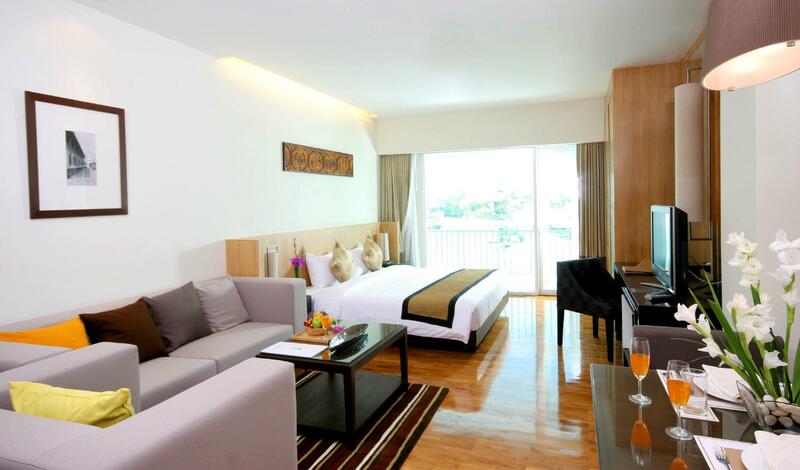 This modern clean hotel and residence is an all suite hotel, great for both long and short term stays in Chiang Mai. It is located in the trendy Nimman area, near the University, but is a short drive from the sights, both in and out of town. While the airport is nearby (and the planes fly overhead) the rooms are quiet and comfortable. We had to use the communal ironing room, which is set up nicely, but it was frustrating they didn't have ironing boards in the room. Our suite also had a washing machine, but not many good places to hang clothes to dry. Otherwise, we plan to return to this hotel when visiting Chiang Mai. This hotel is on Nimman Road which has a huge number of restaurants, bars and shops to choose from including Maya Shopping Centre. If you are coming to Chiangmai it is a cheaper and better alternative to the area around the night market. We were very happy with the room and the facilities in it. The room was large and comfortable. The hotel obviously takes pride in its restaurant with a very nice selection of Western/Japanese food on offer. Breakfast was very good. My only real complaint was the swimming pool that is exposed with no shade and at the time of year when we were staying gets very hot. We booked the two bedroom apartment. Rooms are spacious and clean. The whole house is well equipped. The also provide a complementary breakfast which serve a widespread of international cuisine. Lots of shops and eating places nearby the hotel. This is always my favorite hotel in Chiang Mai. Room is big with the huge bed, bath tub and cooking facilities in the room. Staff is also the best thing of this hotel. Swimming pool is good with the hot tub. Breakfast is wonderful too. we had a pleasant stay over there. It was easy to find the parking. Also, its location is in a walking distance to reach the main road (Nimman-Haemindra) to catch a public bus to go downtown of Chiangmai. Large and comfort room with sofa set. 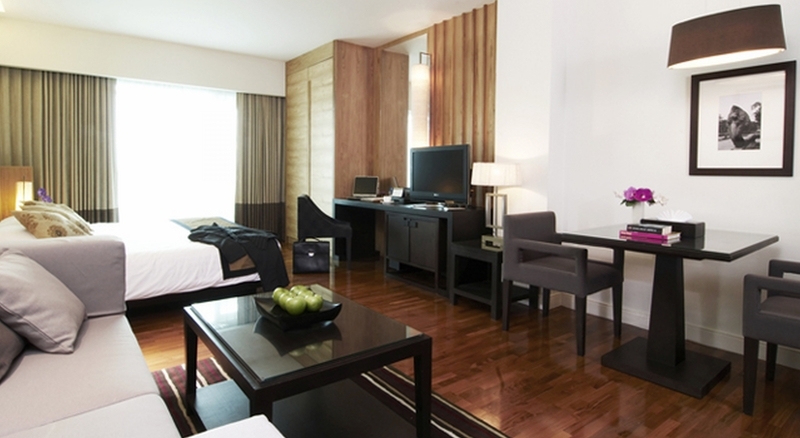 Nice modern hotel and room design. Good location only 200 meters from Nimmanhaemin Road. Should provide free wi-fi as other 4-star hotels have already provided. 1 new hotel building completed and 1 more building is under construction. But all guests have to use the same restaurant for breakfast which is very crowded. This hotel definitely provided a nice accommodation for our Chiang Mai trip. Pros: 1. Convenience It's situated in the middle of Nimman Road, where numerous nice cafe and restaurants are closed. There are two 7-Eleven nearby too. It took us only 20 minutes from the airport! 2. Helpful staff 3. Clean environment No matter the lobby, room or the swimming pool, the hotel was very clean and well managed. There were very few mosquitoes or any other bugs. Cons: 1. Wifi It's hard for us to believe that we had to pay for in-room wifi. Hope the next time we stay at this hotel the wifi can be free of charge. 2. We booked a double room (and clearly when we checked in we were couple), but they gave us a twin room. It took us around 30 minutes to swtich to a double room though the staff were polite and nice. We like this hotel very much and will choose it again if we travel to Chiang Mai in the future.